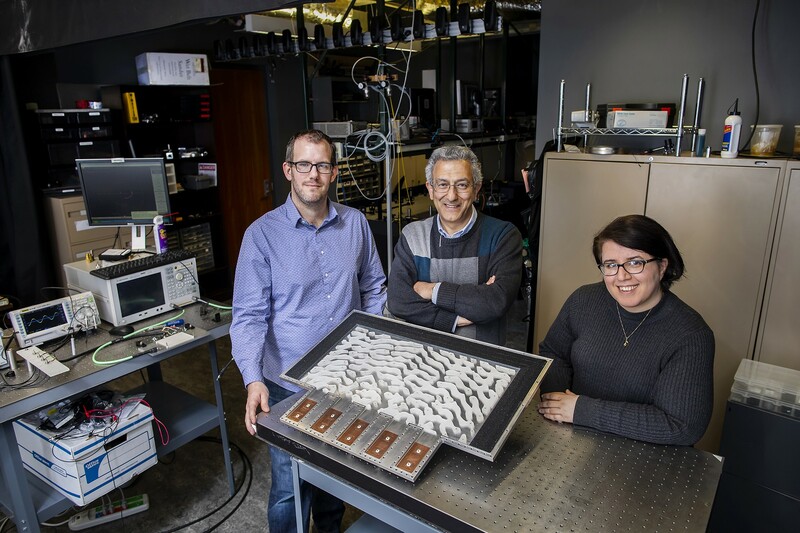 Such metamaterial devices would function as analog computers that operate with light, rather than electricity. They could solve integral equations — ubiquitous problems in every branch of science and engineering — orders of magnitude faster than their digital counterparts, while using less power. Nader Engheta explains the basic concepts behind the field of metamaterials in this 2013 video. The complicated “Swiss cheese” pattern of plastic material and air holes in the device gradually bends the shape of an incoming wave as it passes through them. In the integral equation that describes the relationship between sound sources, room shape and the volume at specific locations, the features of the room — the shape and material properties of its walls — can be represented by the equation’s kernel. 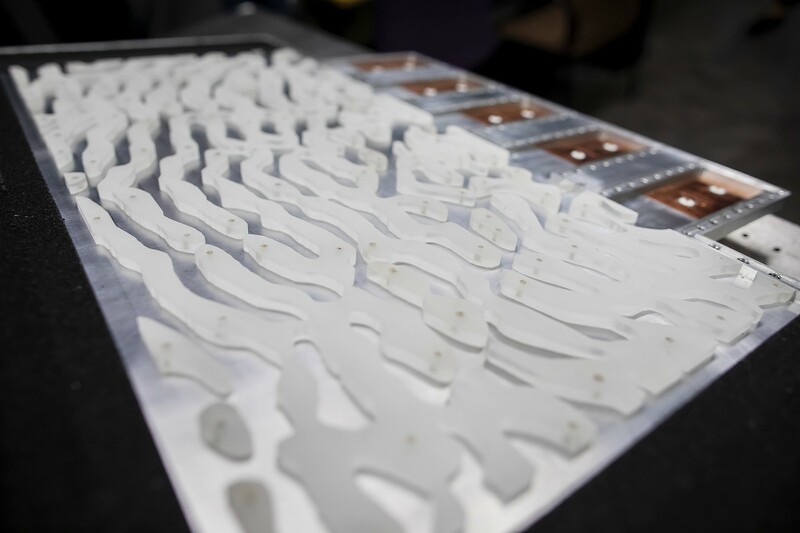 This is the part the Penn Engineering researchers are able to represent in a physical way, through the precise arrangement of air holes in their metamaterial Swiss cheese. 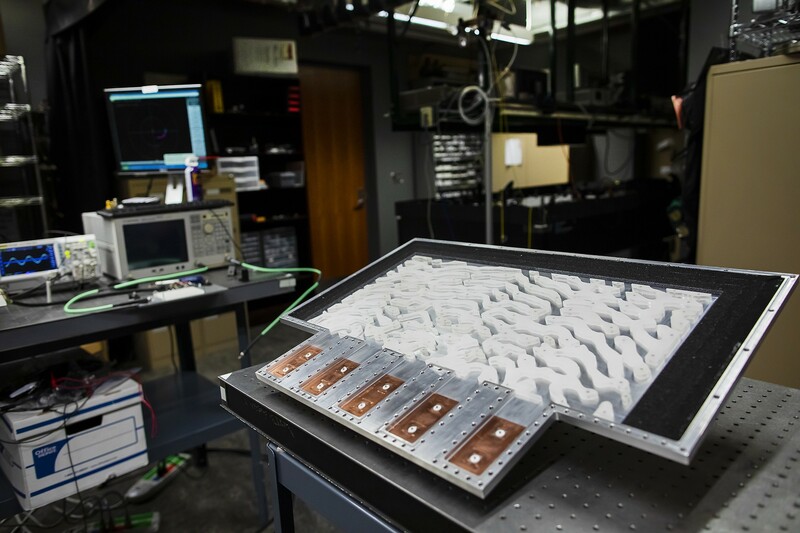 The proof-of-concept device’s size is proportional to the wavelength of microwaves, and was chosen to make crafting the Swiss cheese pattern easier. The research was supported by the Basic Research Office of the Assistant Secretary of Defense for Research and Engineering through its Vannevar Bush Faculty Fellowship program and by the Office of Naval Research through Grant N00014–16–1–2029.